Why has exposing and fighting campus anti-Semitism not become a priority issue for nationwide American Jewish organizations? Recently an American documentary titled Hate Spaces: The Politics of Intolerance was shown at the Begin Center in Jerusalem. This feature length movie is directed by Avi Goldwasser who as far back as 2004 exposed anti-Semitism and discrimination in Middle Eastern Studies at Columbia University in the movie, Columbia Unbecoming. 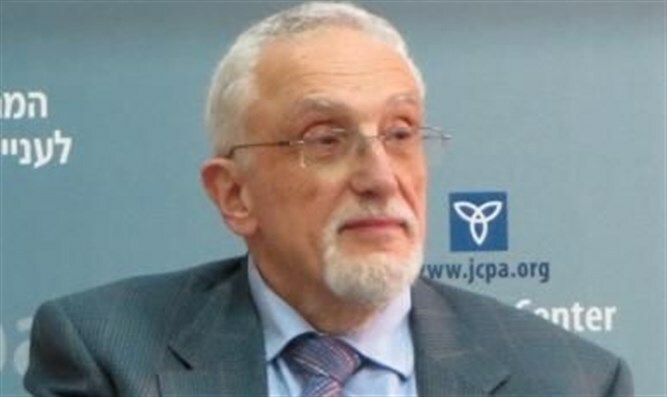 Hate Spaces was released by Americans for Peace and Tolerance (APT) headed by Charles Jacobs. This documentary portrays a horrific picture of anti-Semitism at a number of American campuses. Much takes the form of extreme anti-Israelism, yet also manifestations of intense hatred toward Jews are shown. Under the cover of the First Amendment of the US constitution, which does not permit limitation of free speech, far-reaching hate mongering against Jews and Israel is carried out and considered protected speech. In the American contemporary academic reality this movie can only be called contrarian. A few years later a student intern from SFSU at the Jerusalem Center for Public Affairs told us about the anti-Semitism going on at her university. She refused to go public with the information because she had to return to SFSU and feared reprisals. The university has finally been taken to court mainly concerning the disruption of a speech of Jerusalem Mayor Nir Barkat in 2016. Among the shouts of the protestors was: “From the river to the sea, Palestine will be free,” a goal that can only be realized through the genocide of Jewish Israelis. Another academic institution shown in the documentary where anti-Semitic hatemongering goes back many years is the Irvine campus of the University of California. Hate Spaces exposes anti-Semitism on many other campuses including Temple University, UC Davis and Vassar. “Death to The Jews” protesters shouted at Hunter College in New York. In 2012, concerning anti-Semitism at Northeastern University in Boston, APT released a video titled Northeastern Unbecoming. New hate phenomena are constantly occurring. Israel Apartheid Week is by now an established event on a number of American campuses. Eviction notices placed on dormitory doors of Jewish students is a more recent phenomenon. One campus where this occurred was New York University. An extreme case occurred at UCLA in 2015 when a Jewish candidate for the Student Council’s Judicial Board was interrogated and asked whether as she was active in Jewish organizations, she would be able to maintain an unbiased view. One cannot make a truthful movie on hatred on campus without showing the disproportionately large and extreme role of Muslims in anti-Semitic hate promotion. Hate Spaces thus exposes the role of the Muslim Student Association. It does the same with Students for Justice in Palestine, a national organization of anti-Semitic rabble rousers on college campuses in which anti-Semitic Muslims and leftists join forces. But even when a university investigates anti-Semitism on campus, this does not guarantee an adequate result. In 2016 the Zionist Organization of America (ZOA) wrote a letter to CUNY Chancellor James B. Milliken and the CUNY Board of Trustees in 2016. The letter recorded a long list of anti-Semitic incidents on a variety of CUNY campuses, mainly attributed to activists of the Students for Justice in Palestine. The chancellor then commissioned an investigation. The two lawyers working on this showed little understanding of anti-Semitism and did not even use a definition of hatemongering in their report. This was one of several reasons why the report was structurally flawed. Against the above background it is not surprising that a report by Brandeis university in 2015 documented the prevalence of anti-Semitism on American campuses. An earlier study by Barry Kosmin and Ariela Keysar of Trinity College found that 54% of Jewish students reported experiencing or witnessing anti-Semitism on campus during the six months of September 2013-March 2014. This survey covered 1,157 Jewish students on 55 campuses. Nowadays one has to ask: Is he or she a classic liberal or a liberal pervert? The lack of tolerance at universities which this documentary points out clearly raises a number of questions. These include: Why has exposing and fighting campus anti-Semitism not become a priority issue for nationwide American Jewish organizations? Why did APT, a relatively small organization, produce this documentary? Should this not have been done by an organization such as the Anti-Defamation League? Another question is why has the Department of Education failed to intervene against this ongoing bigotry? Why has it not systematically investigated the breach of academic integrity by biased teachers at institutions of higher learning. Is it not a national interest that university administrations have a moral compass? All this is not only a Jewish issue but also one which indicates that there is a great deal wrong with the American university system. Protected speech policies allow extreme hatred. Politically correct administrators and professors teaching one-sided biased views reflect academic degeneration. 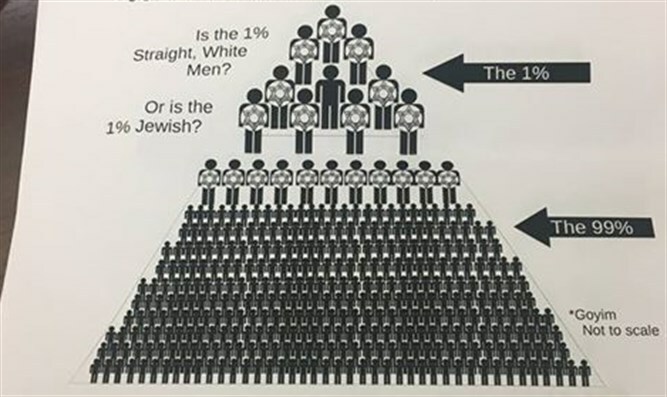 The probability that there is much more wrong on campuses beyond biased teaching and anti-Semitic hate speech is high. This is the more important issue because some students infected by their teachers may eventually come to hold senior positions in the country. In the past, when somebody called himself a liberal it was clear what values he was defending. Nowadays one has to ask: Is he or she a classic liberal or a liberal pervert? Finally, this movie once again shows that it is necessary to take a critical look at the Constitution’s First Amendment and how it is applied.